You probably checked out the slick notebook by Acer. 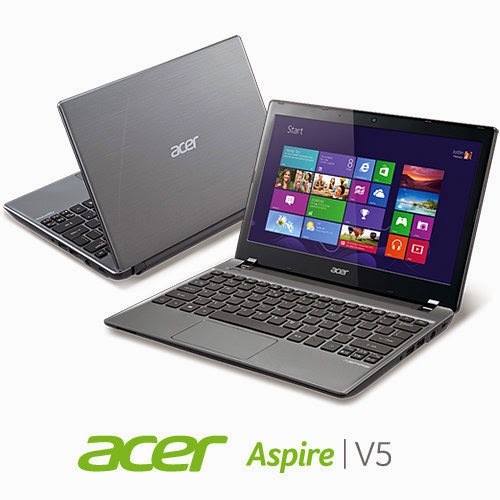 Acer Aspier A5 11 inch. It comes with neat features compared to price. Most notably a touch screen and Windows 8 OEM, sadly it has a fatal bug!! What happens is: After a short while the computer refuses booting!! No matter what you do, It won't boot! Since it doesn't have a DVD-ROM there isn't a way for you to insert the disk to restore Windows ! Even if you were slick enough to use a USB drive. It's hopeless..
Any and all settings lead to nothing at all .. So I was fiddling with it. Being an open source fanatic I decided to give my Linux live USB a go. I wasn't able to boot as well!! 1. Insert the Windows USB installer. 2. Go to advanced options and then to command prompt. 4. After rebooting go to bios and change boot type from UEFI to Legacy. Save the changes and restart. 5. Make sure the Ubuntu flash is connected, boot from it. 6. Select try Ubuntu and in a minute you will get the desktop. Click the hard drives to gain access to your media and recover it. 7. The commands you entered from step two is to access the drive under Ubuntu, or else you will receive an error message saying you can't access the drives. Because windows 8 doesn't really shutdown, it hibernates to save boot time. Also note that the BIOS moves very fast so make sure you press really fast too :D and if it doesn't work check the boot order from the f2 menu putting USB as the default boot device ..